Hörmann (UK) Ltd has been presented with the UK Warehousing Association’s (UKWA) Environment Award at a prestigious ceremony at the Dorchester. The awards saw more than 400 UKWA members descend on the hotel, where they enjoyed a drinks reception and three-course meal, before being entertained by businessman and former director general of the CBI Lord Digby Jones. Hörmann was among nine companies to take accolades on the day and was commended for its successful application of ‘green’ processes. CO₂ emissions have been significantly reduced across the group’s sites through a variety of measures, including renewable energy generation, waste recycling and the implementation of energy management systems. The company has also worked to reduce the environmental impact of its products. As well as offering some of the most thermally efficient doors and loading bay equipment on the market, Hörmann provides Environmental Product Declarations for its full range, so customers can easily see the life-cycle impact of each item. 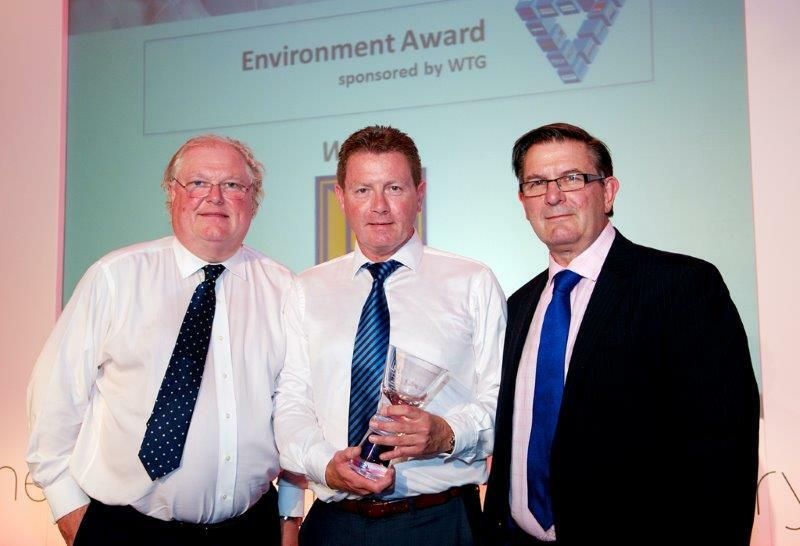 Tom Langley, projects director at Hörmann (UK) Ltd, collected the award for the company. Earlier this year Hörmann announced the launch of a number of new products including its most insulated industrial door panels to date. The 100mm thick sections include a thermal break and are specially designed for fitting with Hörmann’s ISO Speed Cold door, the industry standard for frozen and chilled bays. For more information, please visit www.hormann.co.uk.